The town has been recognized by the executive board of Live Green Connecticut for its commitment to solar energy. Westport was recognized as a "founding community for sharing best practices, providing municipal case studies and joining (its) sustainable network," according to a press release. Westport building official Steve Smith Green Task Force member Pippa Bell Ader and Leo Cirino, the Westport Electric Car Club president, attended the ceremony and received the award on behalf of the town. Other recognized municipalities were Bridgeport, Fairfield, Norwalk, Ridgefield, Stamford and Wilton. The town was recognized for the sustainable project "Work in Westport CT: A Case Study of the Town's Solar Transportation Hub at the Metro-North Train Station," organized by Smith and Deputy Police Chief Foti Koskinas, who served as project manager. The project was done with sponsorship provided by the Westport Electric Car Club, CL&P and the Westport Green Task Force and contractors Encon Solar and John Rountree of Westport Solar Consultants. 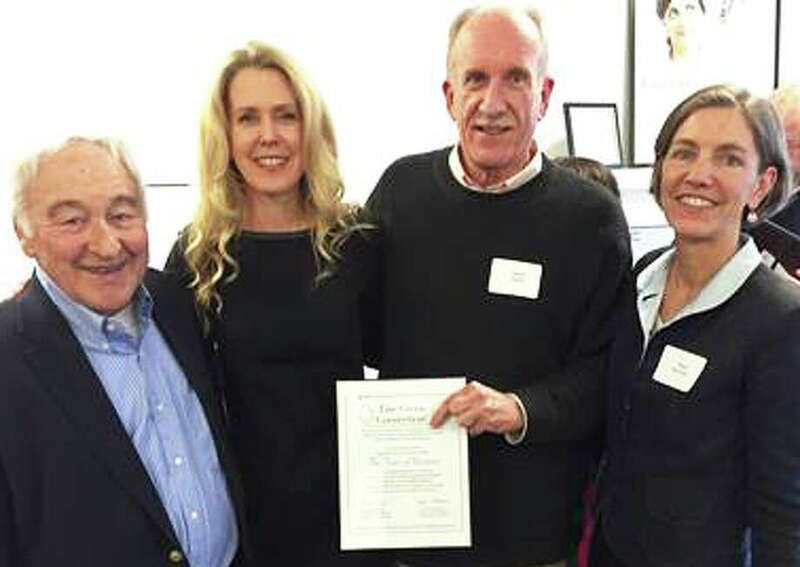 "I congratulate and recognize the hard work of all those involved in achieving this recognition," said First Selectman Jim Marpe. "The town is grateful to have dedicated volunteers, consultants and employees who work on our behalf to create a sustainable, green environment for us all," Marpe added. "The train station project, for which the town is now realizing significant savings on electricity, is a wonderful achievement and a project which should be emulated as much as possible throughout Westport." Live Green CT! is a non-profit organization serving many of Connecticut's nationally recognized sustainable initiatives. The event also announced the campaign to showcase municipal energy-related data sharing and financial information around energy usage trends -- including the transition to renewables. The mission of Live Green CT! is to "create awareness of how everyday decisions, lifestyle behaviors and smart energy management can have a positive influence on environmental protection."